Leading up to the San Juan Capistrano City Council election on Nov. 6, The Capistrano Dispatch is publishing six questions, two each issue, that we’ve asked each individual who qualified for the ballot to answer. Be sure to look for next edition when we publish the third and fourth questions. The list of candidates is published according to the random alphabet the California Secretary of State recently drew. 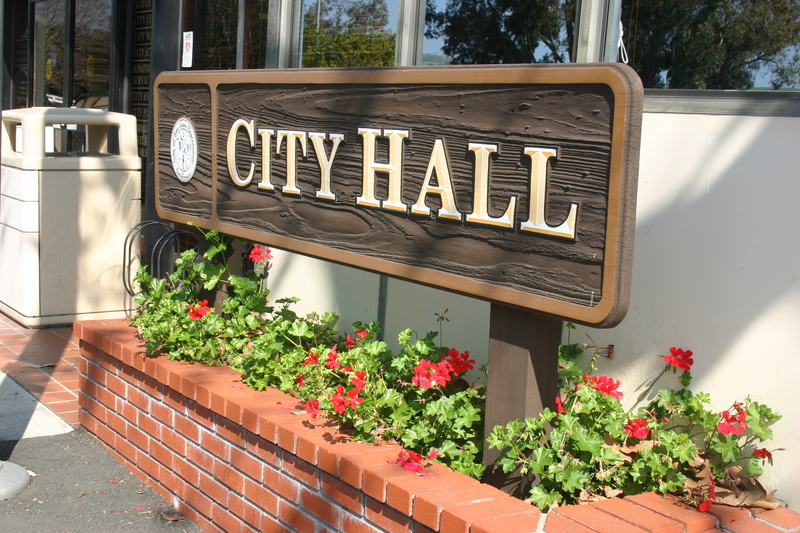 Question 1: What’s your vision for how you would like to see San Juan Capistrano developed in the future? Are there particular projects or forms of development you would like to see ushered in? I would like to see San Juan maintain the small town, historic charm that I, like many others, moved here to enjoy. I envision a “beautification” through redevelopment of existing commercial and shopping areas, rather than approving more development which increases traffic. I also want to protect our historic properties, and the ridgelines that make San Juan unique compared to neighboring communities. My focus is to complete the great projects we have already approved such as the boutique hotels and beautification projects downtown. Unnecessary bickering, improper referendums and expensive lawsuits have left us with heaps of rubble and half completed projects in critical areas of our town. I’ll use my experience to move these projects forward then work to improve blighted areas such as the former Endevco campus on Rancho Viejo Road. We cannot stop progress, and development is progress. The question we need to ask of our developers is how do your projects complement our city? How do we create compromise and make things equitable for those perceived to be impacted negatively? Our city needs recreational projects and economy-bolstering projects. Our citizens should have more opportunities to spend hard-earned dollars here. We should also bring folks from surrounding communities to spend their dollars here too. Unlike my opponents, I have a proven track record of defending individual property rights, while keeping my word of opposing massive developments: Overturned Urban Village, replaced with 60 percent less dense Kimpton Hotel; Overturned development next to Armstrong Nursery; Rejected the mall adjacent to the Mission; Rejected a high density residential development, resulting in 75 percent less density. I’m the only Council member running that defends the rights of residents in the face of deep pocket developer opposition. San Juan Capistrano deserves great care! I envision beautiful additions to our historic city that fill needs for residents, not altering the General Plan without extensive environmental and traffic impact studies, and debate. I’ll evaluate all with this standard. Just as Hotel Banderas, Hotel Capistrano and River Street Marketplace would serve guests and visitors beautifully, expanding The Ecology Center and developing “The Farm” as an “agrihood” of farmhouses and cottages would honor our agricultural tradition. San Juan should be similar to Carmel, with superior architecture on a small scale for charming places to gather, shop and dine that enhance our community and our lifestyle, increase sales tax revenues, and encourage patronage from other cities. Look at Anaheim Packing District and other similar projects, one of which was to be built at the Lower Rosan property. Instead, we are now getting a Ganahl Lumber, a drive-thru restaurant, and storage units. As a Council member I would always preserve and protect the city’s historic base, while protecting individual property rights to the best extent possible. If elected, I will personally see to it that the skate park located at the San Juan Capistrano Sports Park is built! During my term as your Council member I will adhere to the General Plan. No backroom deals for big development – every project will come through the front door with ample opportunity for public input. The end product should be a project that the community and the property owner desire. My focus will be not to change the General Plan but to encourage property owners to work within the vision already outlined for our community. After restoring two historic homes and living 30 years in the Los Rios historic district I cherish the unique small town feel of our community. Any development in our town must honor our heritage and adhere and appreciate the qualities that our past leaders have worked so hard to maintain. Don’t be misled by the claims of my opponent. The facts will bear the truth about who really cares for our historic community. Question 2: San Juan Capistrano’s history is important to its residents. What could you do as a city council member to protect or honor that history? Adhere to the General Plan, Historic Downtown Center Plan and the Los Rios Specific Plan. All of these documents were drafted in order to protect San Juan’s unique history. In addition, we need to protect Native American history by coordinating with local San Juan Native Americans to monitor historic sites during construction activity. As a former board member of the San Juan Capistrano Historical Society, I’m familiar with our town’s history and the hard work performed by volunteers to preserve and tell San Juan’s stories. I believe it’s our rich history–and the unique way our historical districts preserve it–that set us apart from our more contemporary neighboring cities. I’ll continue to work with volunteers and professionals to protect and improve these historical districts. The importance of San Juan’s history goes beyond our residents. It’s a cherished piece of California’s history. We should all embrace and guard it. Part of that goes back to my statement that there should be compromise with projects. That includes funding preservation. For example, Nevada has legalized gambling, which can be a dangerous vice. However, gambling also abundantly funds their public schools. And no, I’m not in favor of legalized gambling in San Juan. Our heritage is the key to safeguarding the future of San Juan Capistrano. I have worked closely with historic conservationists to protect the unique nature of California’s oldest and most beautiful communities. As a conservationist, I have successfully fought to make historic structures more accessible to residents. For eight years I fought to protect Los Rios Historic District, the Swanner House, Blas Aguilar Adobe, El Adobe de Capistrano, Garcia Adobe, Egan House, and the Mission. Without our history, we’re just another city. It’s who we are. I’ll continue bringing people together, honoring and protecting all our historic traditions. My family arrived the year Judge Egan built his home on Camino Capistrano – 1883. I proudly inspired its restoration and life as Ellie’s Table. I brought together our Juanenos, creating a lovely place to celebrate their traditions at Putuidem Village Cultural Center. I’ll see it’s completed and continue protecting our history. Since 2014, I have consistently voted for our General Plan to protect SJC’s historic buildings, agricultural history, and equestrian trails; and most recently spearheaded the referendum against the Vermeulen 180-home project of developer and candidate Troy Bourne, following his lawsuit against SJC taxpayers. Bourne and the Council majority don’t care about the traffic impact — an estimated additional 2,000 daily car trips in an already horribly congested area, because they’re focused on the profit. The City’s General Plan as adopted, has the power to efficiently protect and preserve our culture and history. I will do everything in my power to keep the General Plan as is. Mission San Juan Capistrano and the Los Rios Historic District are truly unique treasures. The Los Rios Historic District is the oldest residential district in California. We must prevent incompatible uses and development from driving out residences. Commercial development that violates the Los Rios Specific Plan and the General Plan should not be allowed. We should focus commercial development in the downtown to reduce the potential for more gridlock on Del Obispo. I protected and restored the 1911 Yorba Love House from being destroyed by the city for a parking lot in 1995. I moved the home to Los Rios and spent years restoring it by hand. I value and support the Mission San Juan Capistrano as it is the highlight of our historic town. I would like to see the downtown with more pedestrian friendly streets, planted medians, in a style that heralds San Juan’s historic roots. Between John Taylor and Troy Bourne, I don’t know which one is worse. John Taylor is the prior City Council member who voted at 3am on the hotel in town that subsequently the Orange County Superior Court found that there was no CEQA (environmental report), John Taylor is also the same guy who could not distinguish the height of a 35 foot tall building. The court ruled against him on that one too. John Taylor is also famous for voting for the illegal water rates that over charged residents 20 million dollars. The California Supreme Court in Sacramento ruled against John Taylor on that one too. John Taylor also had the City Attorney in a secret closed meeting send the publisher of a newspaper that there would be criminal charges against the publisher for distributing the newspaper. You guessed it, the City signed a stipulated judgement to not do that again. How many times does a City have to lose with a loser like John Taylor? Then there is Troy Bourne. If you like development and more traffic then Troy Bourne is your guy. You see, Mr. Bourne is the guy from Spieker Development that wanted to build a retirement community on the Vermulen Property that of course John Taylor voted for. The residents got together enough signatures for a referendum against the project. So what did Troy Bourne do? He sued the City. Yep that is the same Troy Bourne. If you liked lots of development and more traffic, Troy is your guy. SJC Residents, Clint is correct with his information. Pay attention. John Taylor is a nice person but doesn’t have the entire City’s interests at heart. He is part of a continuing systemic problem at counsel. Putting their interests above us. Last time I ran for council (District 5), you all elected Brian Marriott. Less than a year into it, he spends valuable time and resources running for US Congress. Actions like this are self-serving and don’t help our City. Another example of an elected official operating his own agenda. Since the election, I have seen him anywhere around asking his own District neighbors how things are going. Like a ghost. I will run again when you all decide that you want a real representative of you in office. I refuse to raise money or deal with the mess of street signs to get elected. Maybe voters in the future will actually pay attention to what candidates really represent. I represent the people of SJC. Those who work hard every day and want our elected officials to truly represent us. We dont want more taxes, law suits, etc. We want innovative ideas to bring this City into the future. I have said it many times now…our historic character can remain near downtown, but this will not drive revenues that are sorely needed to compete with adjacent cities and rising costs for law suits, counsel missteps, police presence, etc. Our General Plan is insufficient to achieve this goal. One plan I have is (ans remains) to extend the “downtown” area south. We should work with property owners to develop the area from Del Obispo to San Juan Creek on Camino Capistrano. Crossing Del Obispo with an architectural feature for pedestrians could be amazing. In the new downtown area imagine a car-free walking area on Camino Capistrano…businesses could expand with residential housing above. Small town City living that would be high tech. Parking is solved by placing parking structures behind the new buildings facing both I-5 and RR tracks. We could have a unique downtown. One you could take the train to and walk for a couple of miles in a protected area without traffic. NO ONE has a town like this in California. Also, we would protect the area with bollards sufficient to stop any errant car/driver attempting to enter this space. In the winter, we could have an ice rink. In the summer, we can have concerts in the green space we create. I didnt say this would be easy! I said it would be amazing for the future of this City. Those of you who say “it’ll never happen” are part of the problem. No one thinks for the future in this City. You all are trapped in history. I love it too, and we can keep the historic downtown but start thinking bigger! Good luck candidates. To my fellow residents, I think your best bets are Mr. Reeves, Ms. McCarthy, Ms. Ferguson and Ms. Patterson. At least Ms. Patterson is thinking like I am. Expand your minds and SJC can become an icon for theater, art, music, business, and drive revenues and increase home values. Stick with our current General Plan and stale ideas, then watch us run outta money. Mayor of SJC when you all decide you want a true representative and voice for you. Daily I receive Nov. 6 SJC candidate propaganda with their ‘various’ listings EXCEPT for political party affiliation – NONE of them!! WHY! I have looked at several of their web pages – NO party affiliation. WHY are they such cowards, obviously paranoid relative to their political party?? PLEASE provide lists WITH party affiliation(s). In advance, thank you for your consideration! !